I happen to known this book long time ago. And I keep seeing it in websites for hundred times. 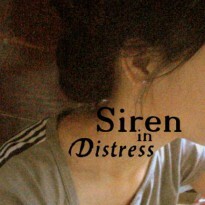 I really cant see myself reading it, even though It seems a great book and I saw a lot of amazing reviews about it. I didn't read it coz first I have a lot of books that holds more my attention than this so I keep ignoring it, and second- the details I read about this is not the type of book I prefer or I think I see myself bored in it. But of course.... Im death wrong! This book a real page-turner. The uniqueness concept of this book plus the awesome writing style of the author gives a wonderful effect to the readers. This is one of those books that just leaves you so amazed and perplexed. There are so many things I want to talk about and cover, but I probably should just start off with this declaration: THIS IS ONE OF THE BEST BOOKS I HAVE EVER READ. Seriously. It was just as wonderful as everybody said it would be. The world that Collins created was both creative, original, and somewhat otherworldly on one hand, yet shockingly plausible on the other. I was a little hesitant of the premise in the beginning, like "what kind of society would really be that outrageously sick?" Then I thought of movies like Kill Bill and Saw and all those other gory flicks of absolutely no redeeming or artistic value, and I thought, "you know what. I can totally see Panem existing." I was especially interested to see how THG would stack up against the other dystopian sci-fi that I'd previously read - Uglies. In my opinion, THG wins. It just seemed like a deeper, more substantial book with more memorable characters and less of an agenda, which is always appreciated. The idea of Panem's creation, its turbulent history and ruthless policies were put together effectively yet simply. Collins gives the reader just enough information to be absolutely absorbed in Katniss' world, and she doesn't take forever to start up the story, either, which made reading much more enjoyable. The characters were memorable, likable, and thoroughly unique. Haymitch, Cinna, Effie, Rue, Katniss, Peeta, and that one guy that only gets like just a few lines and yet everybody's on his "team" - were very well rounded and each contributed nicely to the overall story. And here's something that I wasn't expecting from this book: intrigue. I've heard HG penned as "Survivor"-esque, I've heard it penned as "Gladiator"-esque, but there are also times when it reads kind of like a spy novel a little bit. Just like Katniss, I was also wondering which characters to trust, and which ones were telling the truth, and so forth. Her paranoia seeped through the pages and got into my system, too! 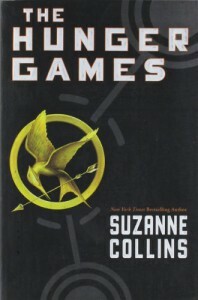 The Hunger Games is one of the GREATEST books I have ever read. Seriously, this is a new favorite, and I am betting that the rest of the series will be just as amazing. Suzanne Collins is definitely one of my favorite writers. Her creativity and gift for storytelling is practically impossible to top.